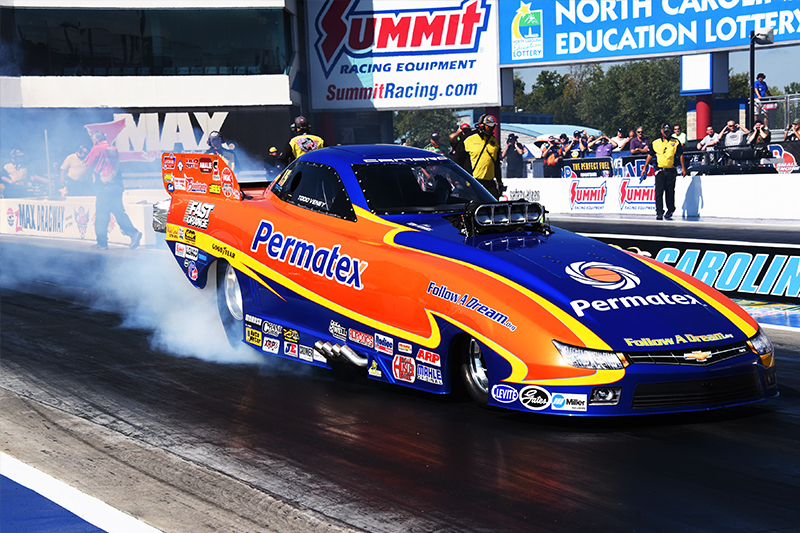 Permatex® Follow A Dream Team Poised For Championship Repeat – Ranked 4th nationally, the team has four races left in 2013 NHRA schedule –Hartford, CT… The Permatex/Follow A Dream Race Team, sponsored by Permatex, an innovative leader in chemical technology for automotive maintenance and repair, is in the home stretch of the grueling 2013 NHRA Lucas Oil Drag Racing Series. Ranked in 4th place nationally, the team remains focused on moving further up in the standings and bringing home the 2013 Lucas Oil East Region Champion title to complement its 2012 Championship. The team has four events remaining on their 2013 schedule. Permatex is a leading manufacturer, distributor, and marketer of premium chemical products to the automotive maintenance and repair markets. Since 1909, Permatex has been an acknowledged leader in the development of innovative new products and services for the automotive aftermarket. Permatex markets a wide range of products under well-known ITW brand names such as Permatex®, Fast Orange®, Spray Nine®, the Right Stuff®, Gel Twist®, PermaPoxy®, Ultra Bond® and Dr Bond®, Ultra Cherry®, and Permatex currently operates in the United States, Canada, Mexico, and the U.K. and exports products to more than 85 countries around the world. North American operations include Permatex’s headquarters in Hartford, CT, a state-of-the-art manufacturing, distribution, and technical center located in Solon, OH.Permatex is a division of ITW (Illinois Tool Works Inc.), a US based, NYSE listed corporation, founded in 1912. ITW is a Fortune 200 diversified manufacturing company.